Eurodollar rebounded from level of 50% (1.3790) several times and started new ascending movement. 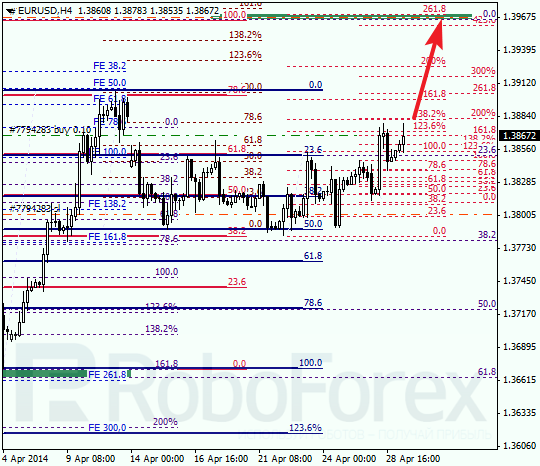 Target for bulls is still the group of upper fibo levels at 1.3965 – 1.3975. Possibly, price may break maximum (1.3905) during the next several days. 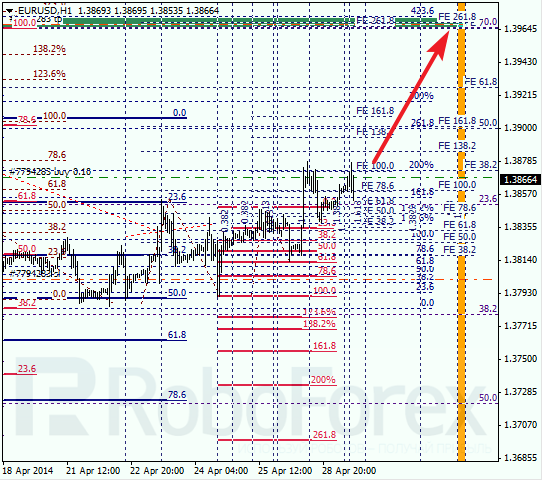 At H1 chart, pair started moving upwards after rebounding from local level of 61.8% (1.3813). Yesterday’s descending movement reached all of my stops, so I’ve entered the market again. According to analysis of temporary fibo-zones, predicted targets may be reached by the end of this week. Franc started new correction. 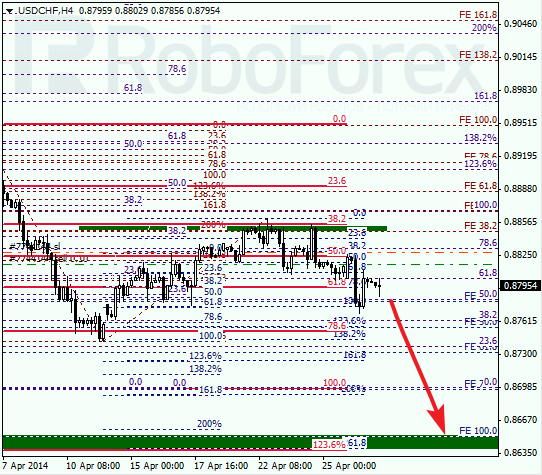 Earlier market rebounded from the group of fibo levels at 0.8845 – 0.8855 several times and then started falling down. 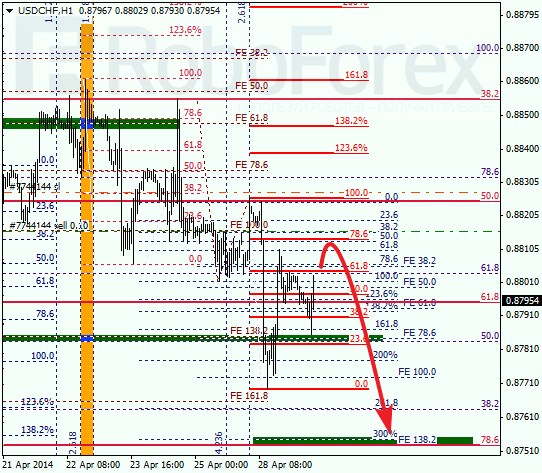 Main target is still close to the group of lower fibo levels at 0.8650 – 0.8640. As we can see at H1 chart, Franc couldn’t stay below its intermediate target and started correction. Most likely, price will test level of 78.6% during the day. If market rebounds from it, instrument is expected to continue falling down.